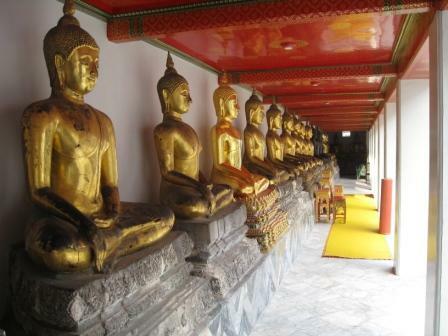 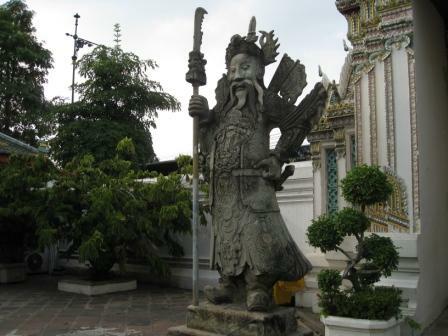 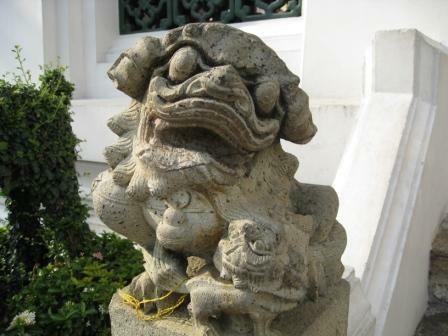 Photos of Wat Pho (a temple) in Bangkok, Thailand, known for housing one of the world’s largest Buddhas. 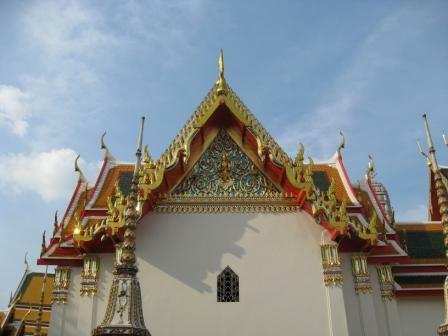 See more photos of the wat here. 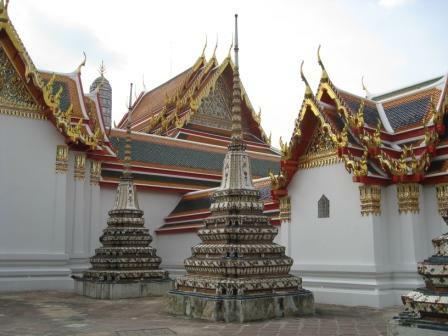 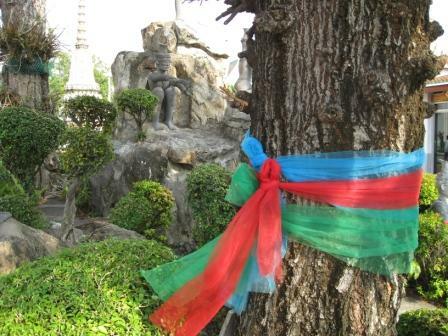 A wat is a Buddhist temple. 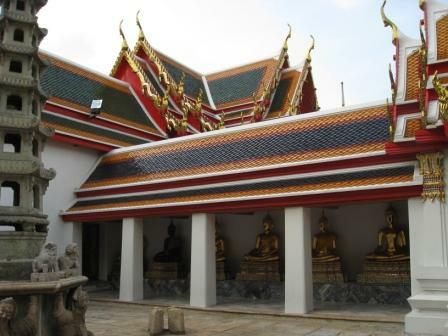 You may have heard of the famous Cambodian Angkor Wat. 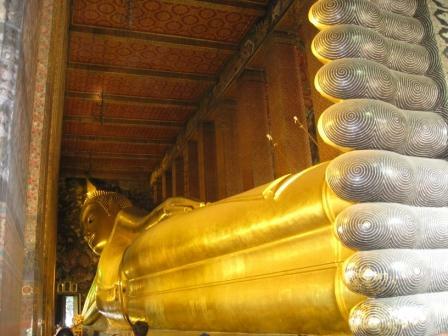 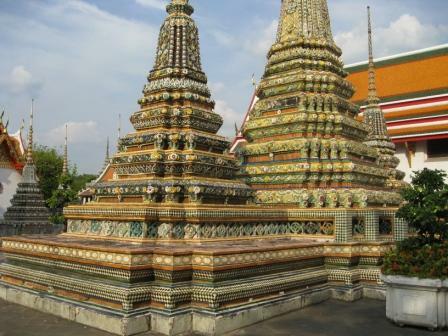 Wat Pho is known in Bangkok for housing the reclining Buddha–one of the largest Buddhas in the world. 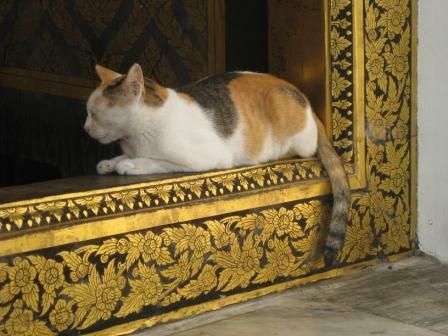 A tranquil temple seemed like a reasonable place to find a lot of tranquil cats.